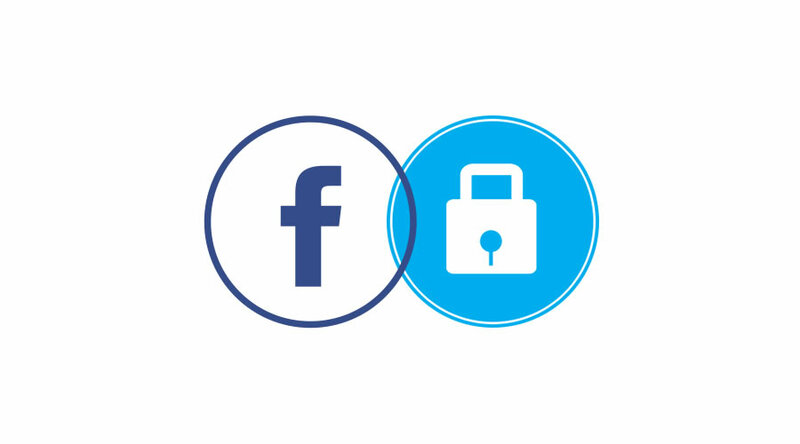 With this extension you can add Facebook Login button ANYWHERE IN YOUR STORE. The more customers register on your site, the closer you reach potential buyers and the higher conversion rate is. The role of account registration is undeniable. 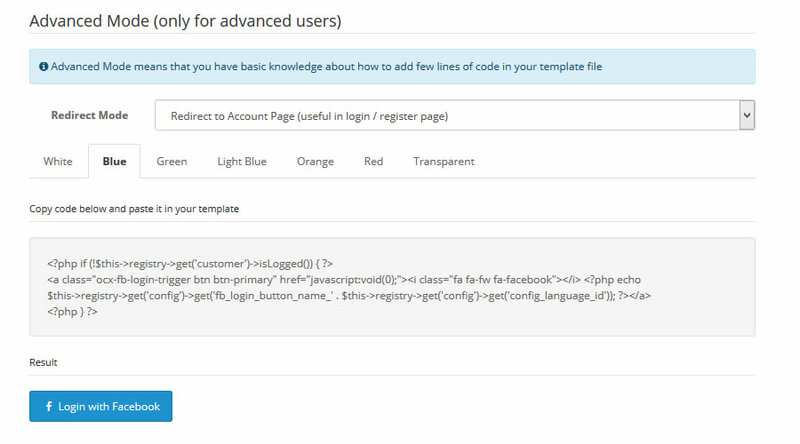 However not all customers are patient enough to finish all required information at Create Account page. 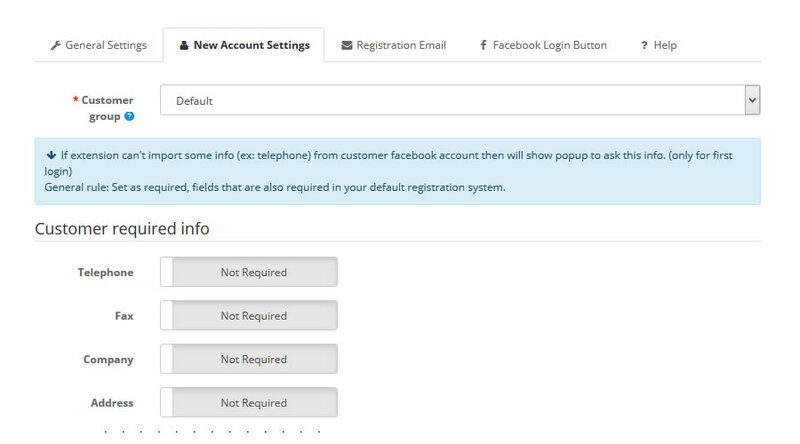 Why not ease this step with Facebook Login extension? 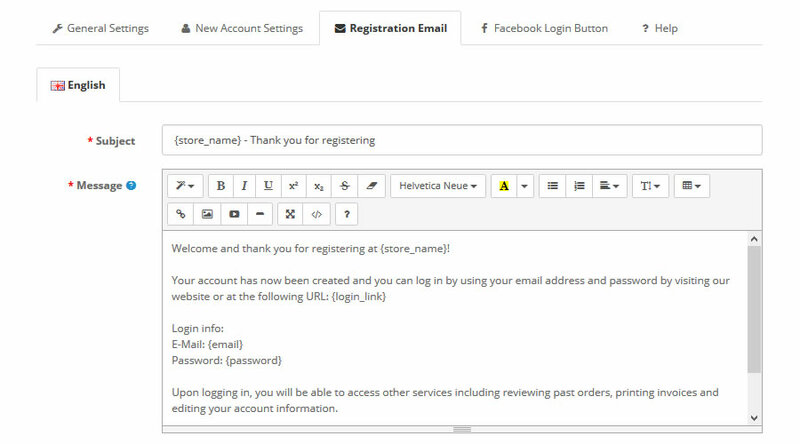 Login and registering for a new account on your website will never be easier since customers can use their Facebook account. 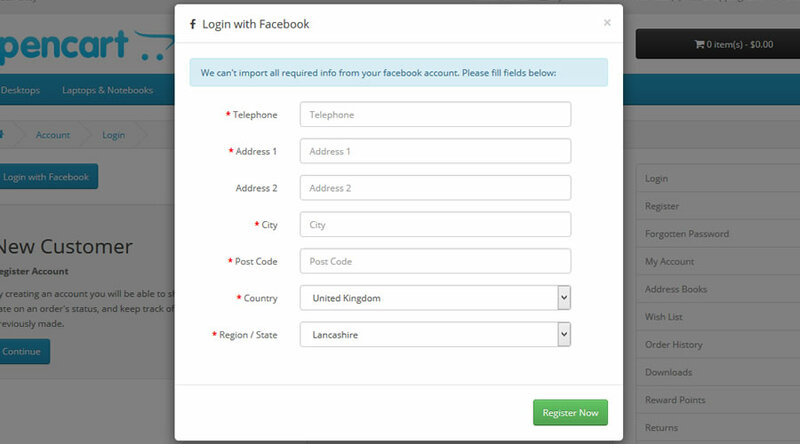 All process can be now very quick with this Facebook Login. - If in settings are not defined extra required info in account is created (with an random password), is set an email to customer (included and login details for case if he want someday to use traditional login) and customer is redirected to his account. 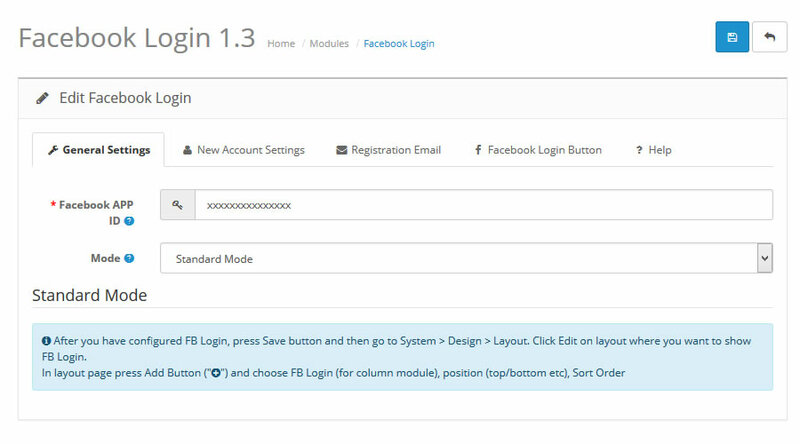 Most common answered questions about Facebook Login (+ custom position). - Update is required to meet new Facebook rules otherwise FB will suspend your app.